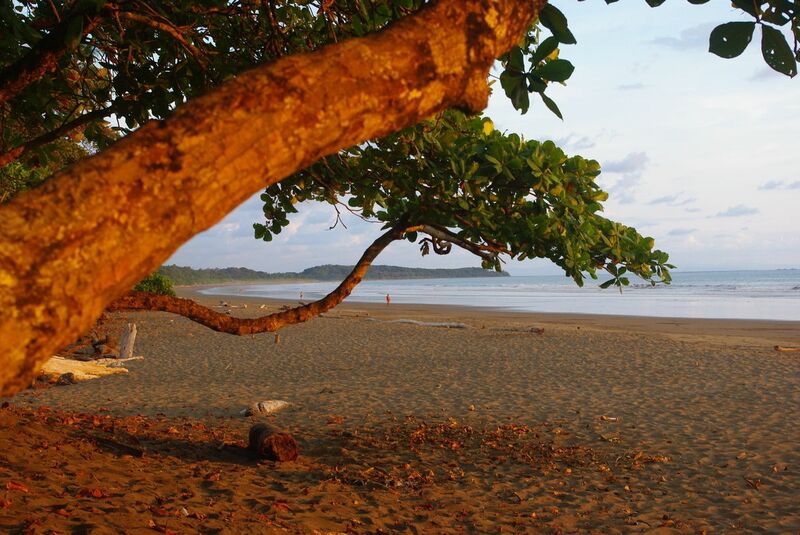 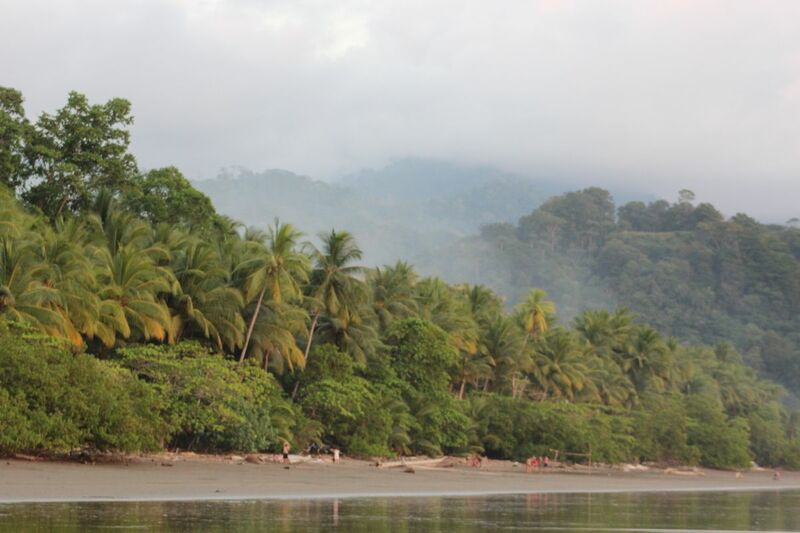 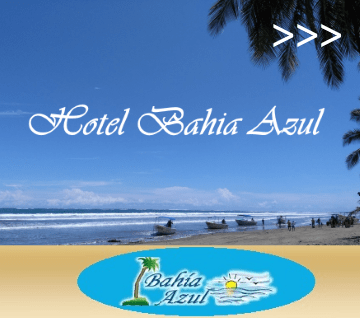 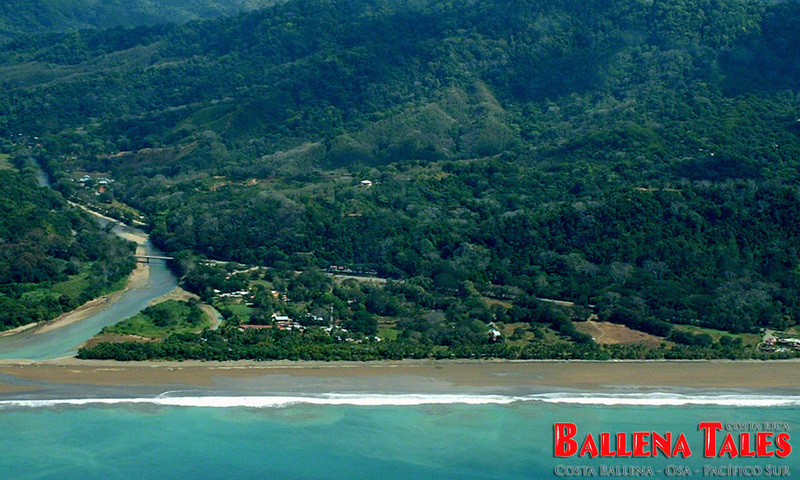 Marino Ballena National Park, a paradise for land and marine species. 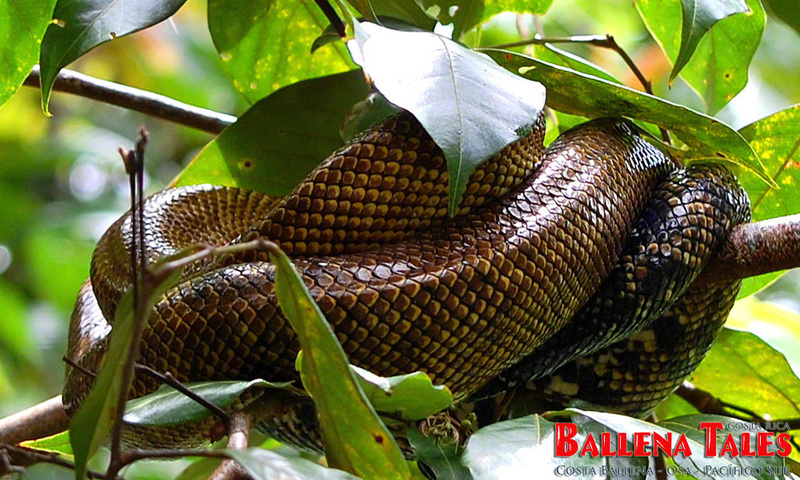 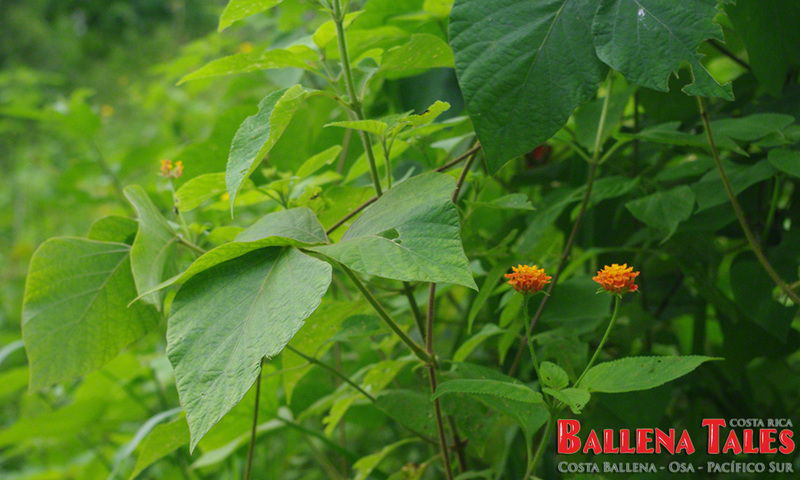 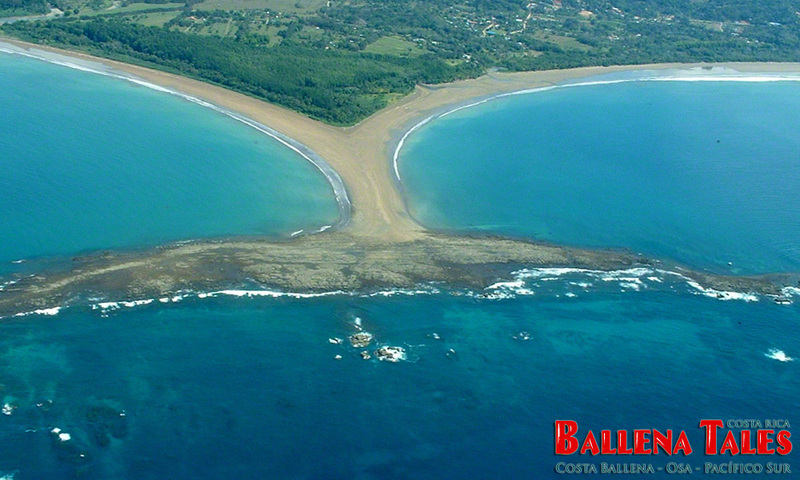 The Marino Ballena National Park is located in Costa Ballena and belongs to the Osa Conservation Area. 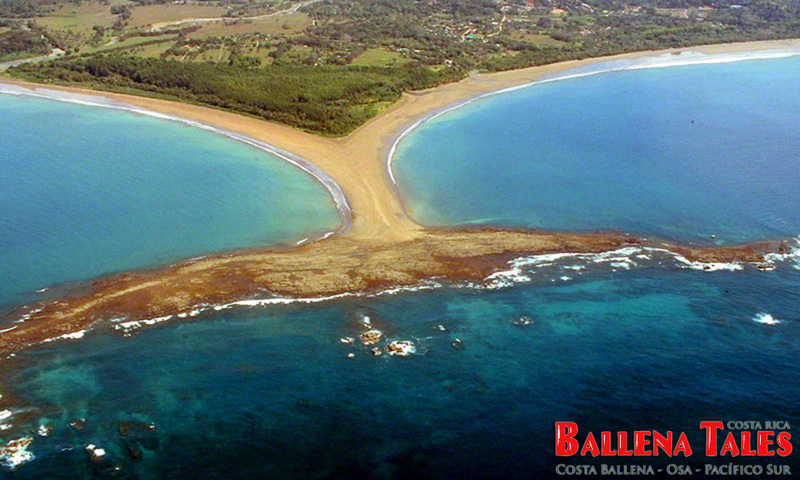 It extends from the Morete river mouth to Punta Piñuela. 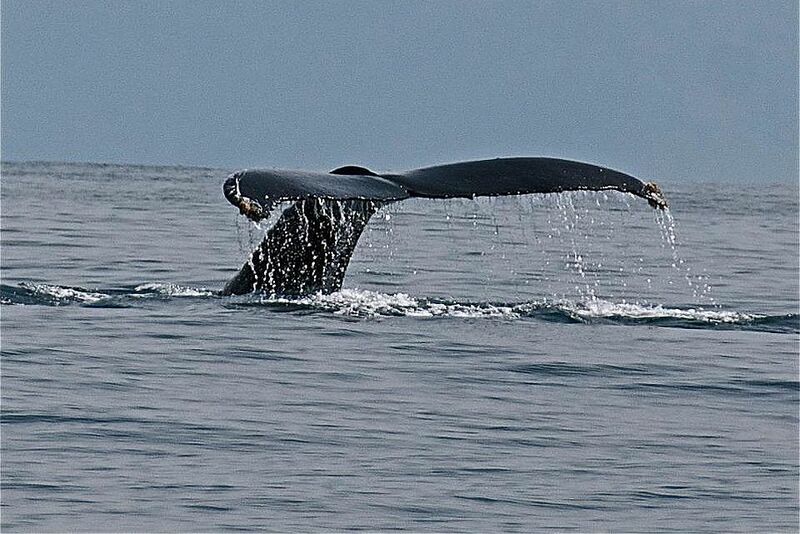 It was declared National Marine Park in 1989, and its limits extended in 1992. 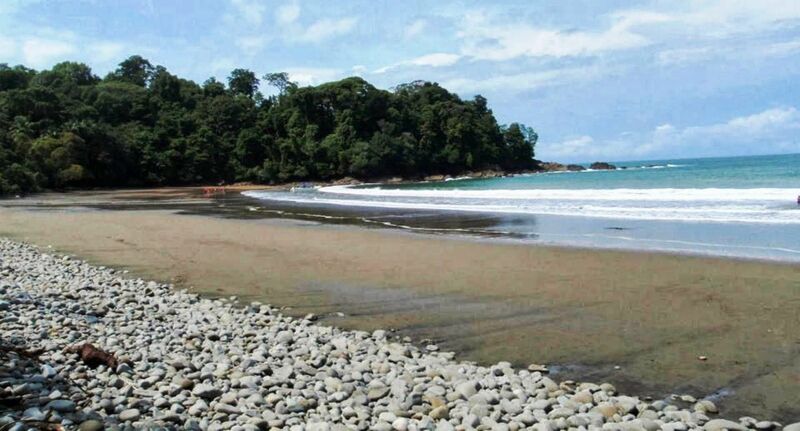 It has a land area of 284 acres and 13,276 acres of sea. 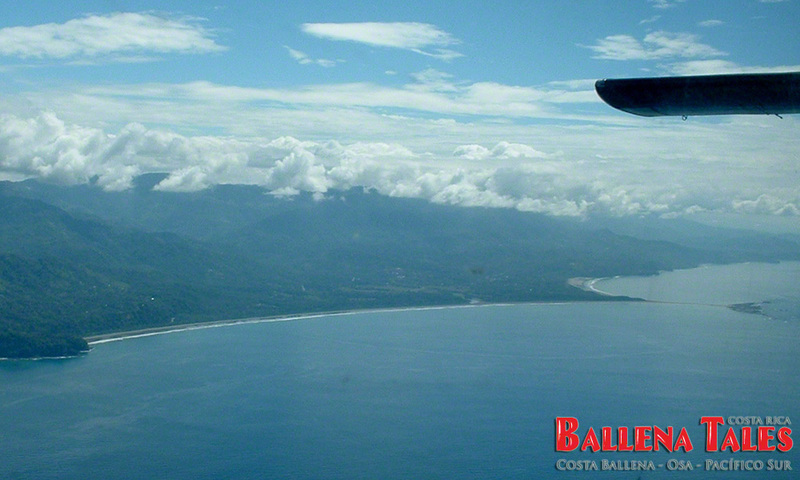 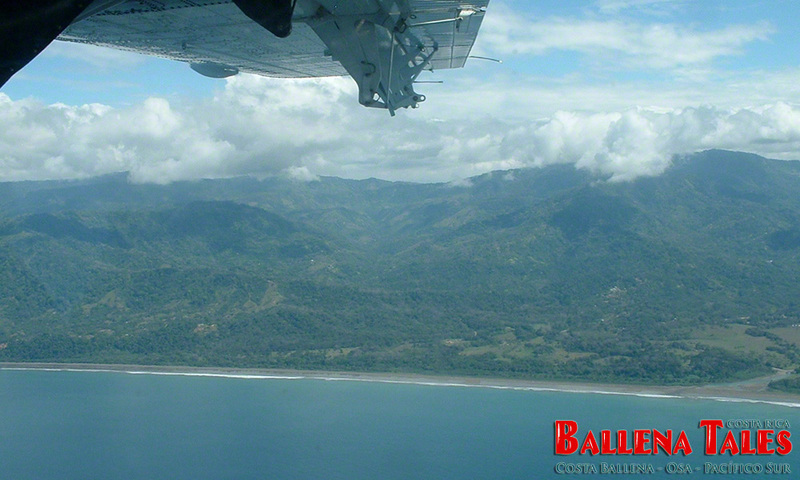 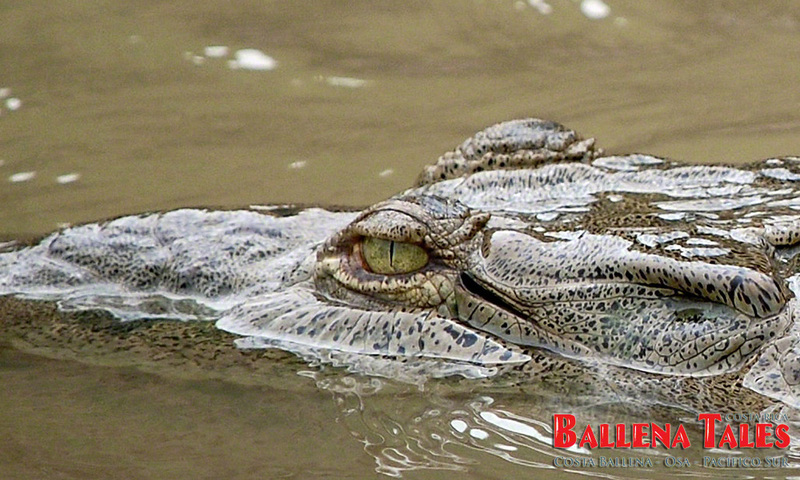 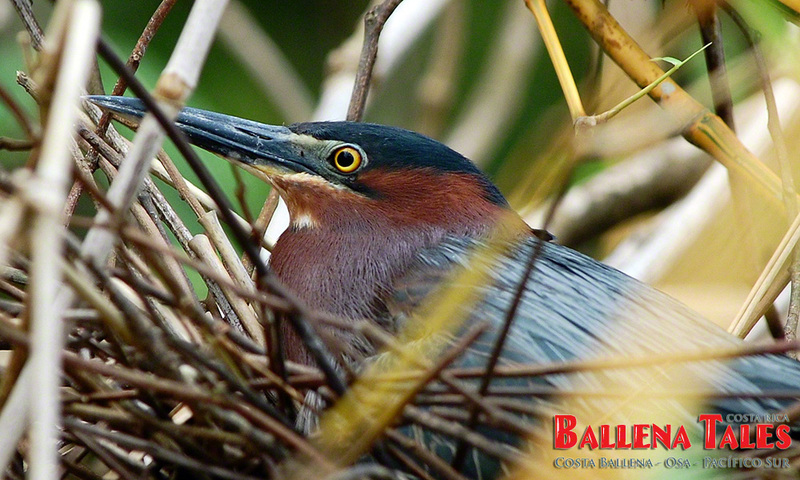 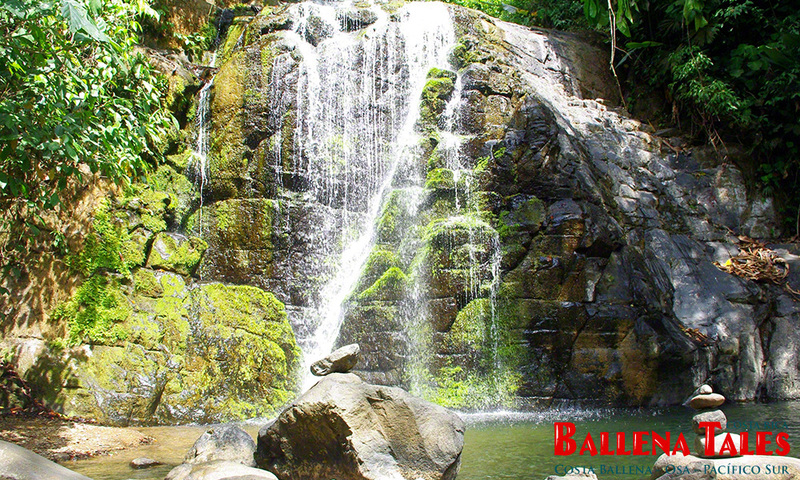 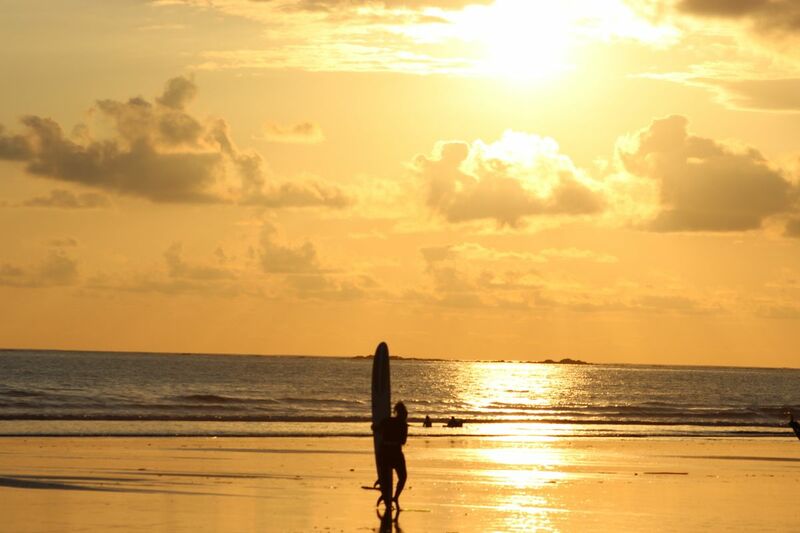 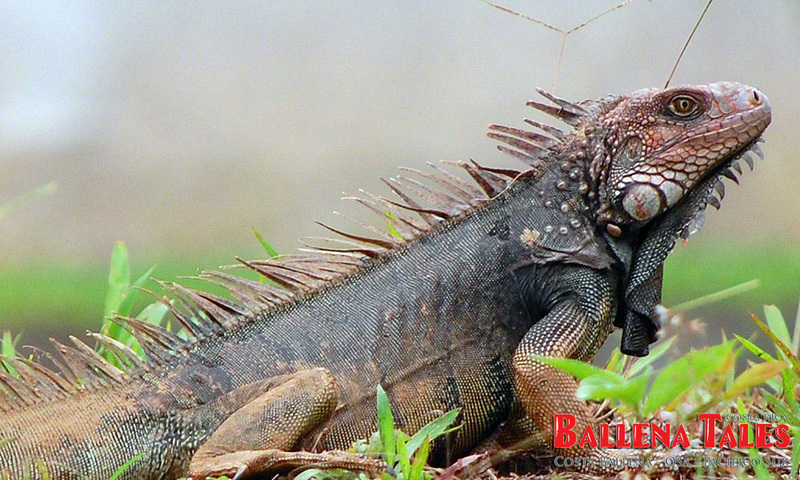 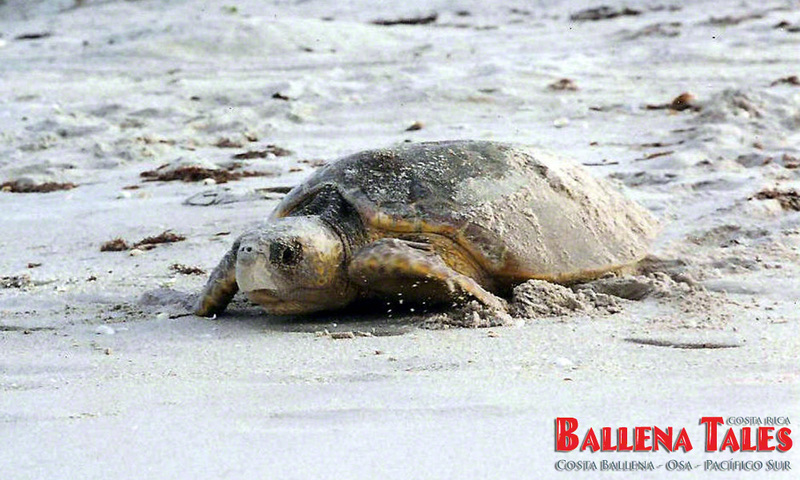 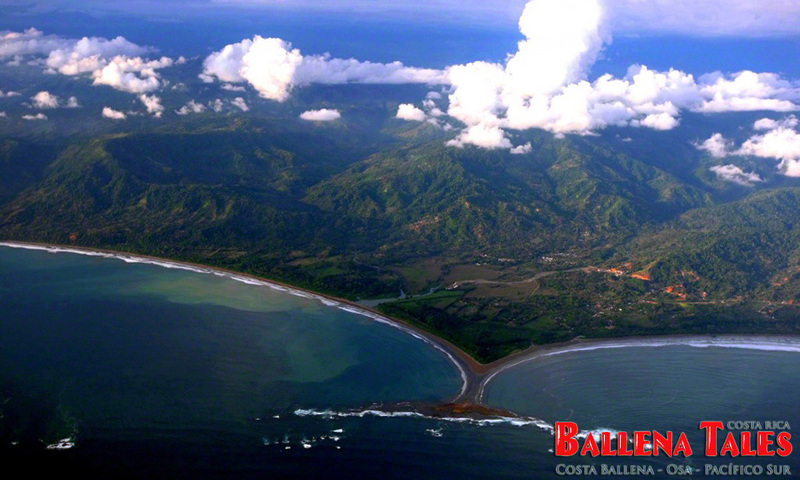 The focus of Marino Ballena National Park is to preserve the rich marine ecosystem and its pristine landscape value. 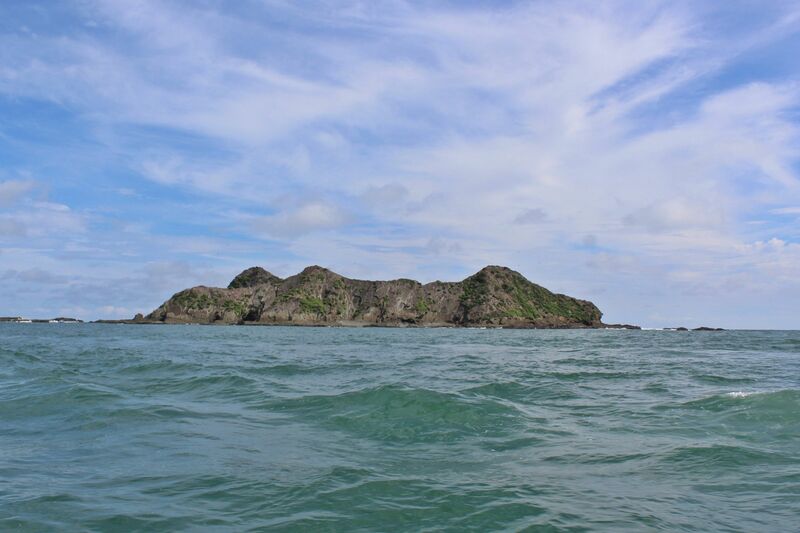 In its warm waters, we find very interesting geological formations, such as sandy beaches, rocky cliffs, and small barren islands. 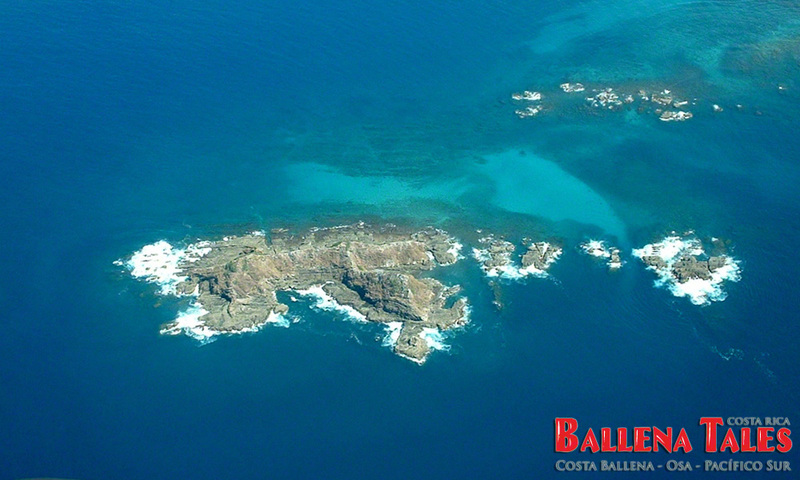 Offshore there is a row of small islands and submerged rocks, starting with Roca de la Viuda and followed by the famous Whale Tail, a 700 meters long sand isthmus, which at low tide can be walked between the two large bays, with a 360 ° view over the sea, the beaches, and the mountains. 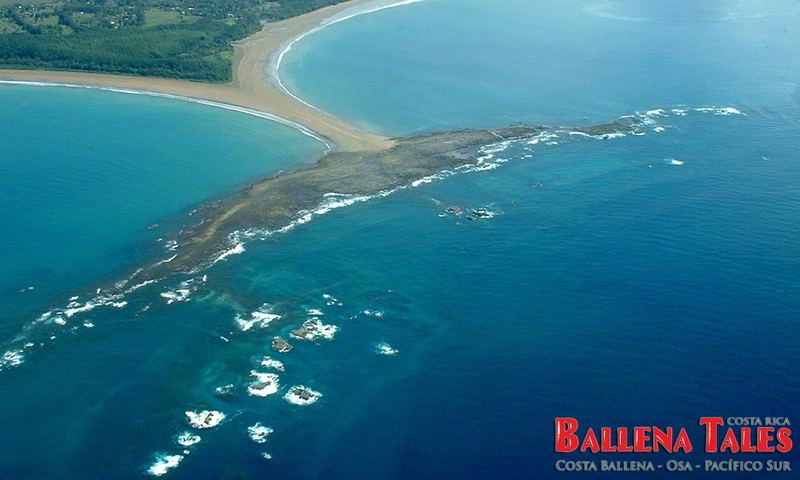 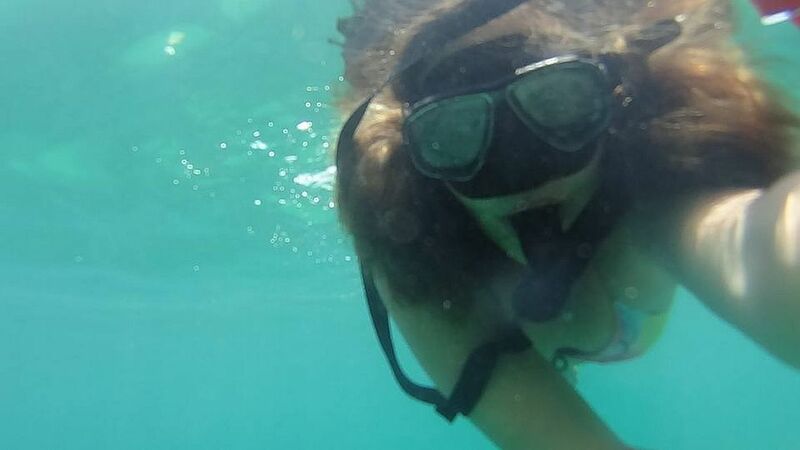 It is the largest coral reef on the Central America Pacific coast, forming a crescent necklace with three little islands known as The Three Sisters and Ballena (Whale) Island. 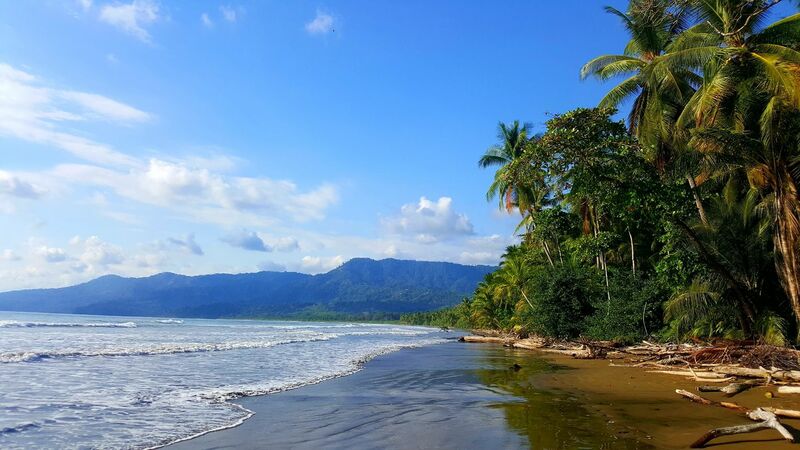 The terraces are home to a large amount of habitat for countless marine species comprising 18 species of coral, whales, dolphins, sea turtles, fish, starfish, mollusks, crabs, sea fans and sponges, among others. 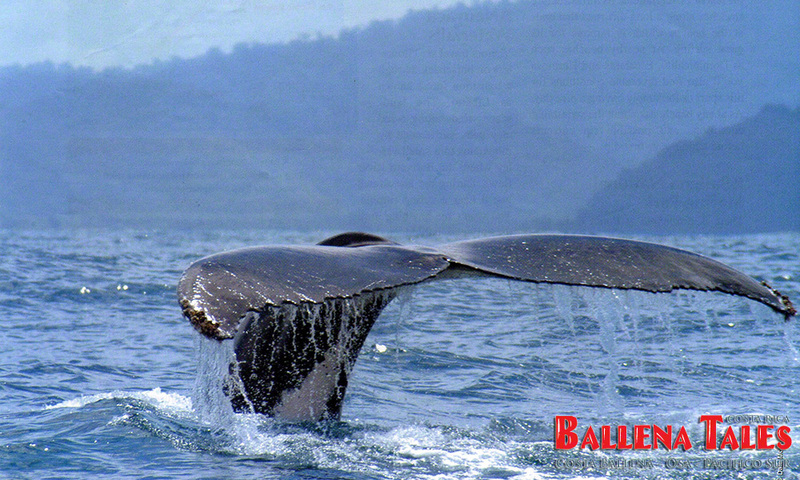 By protecting the coral reefs and keeping our beaches and rivers healthy, we take care of a unique and rich ecosystem, which is a breeding and reproduction area for whales and many marine species. 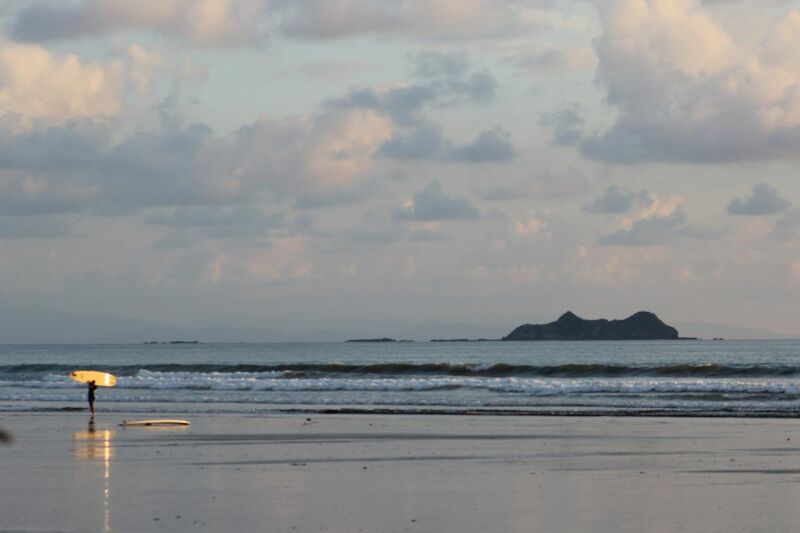 If you want to walk on the plunger or Paso de Moisés you should do it at low tide. 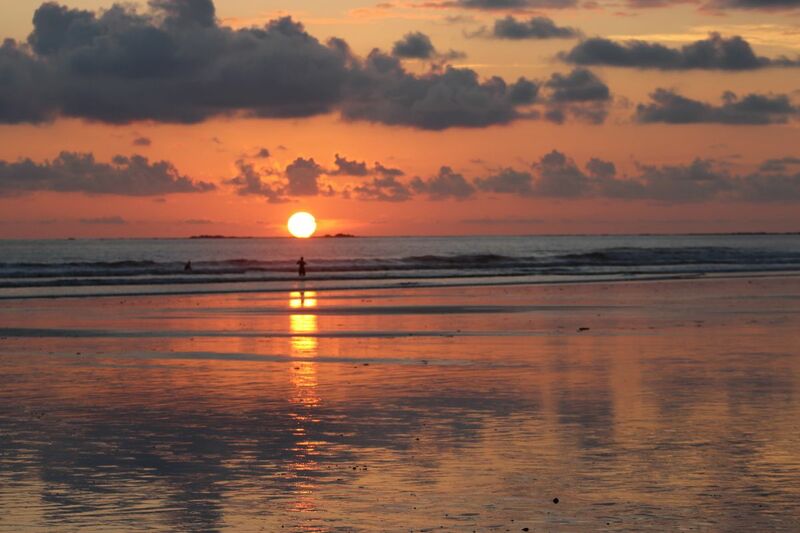 During the low tide, you can walk to its very end. 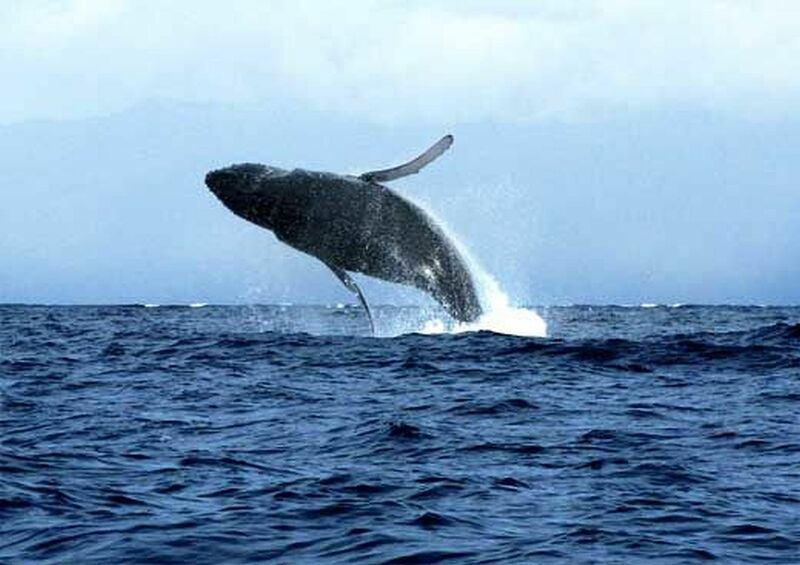 The park is fortunate to receive two annual migrations of whales, the Humpback Whale of the North visits the South Pacific Coast from December to March and the humpback whale of the South begins migration in July which ends in October. 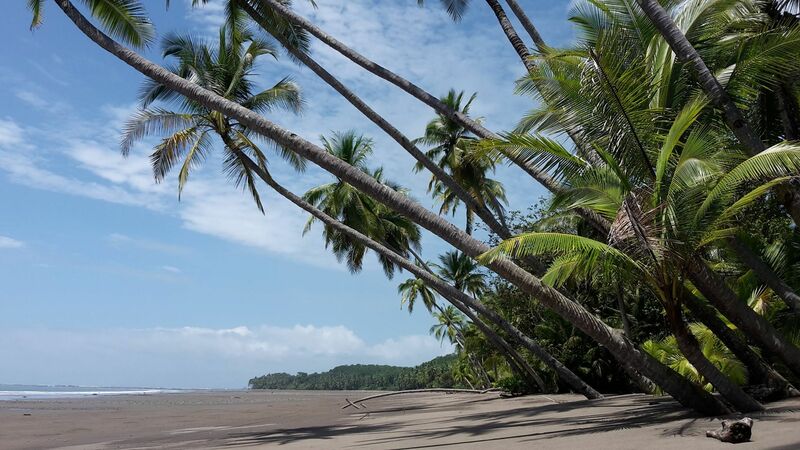 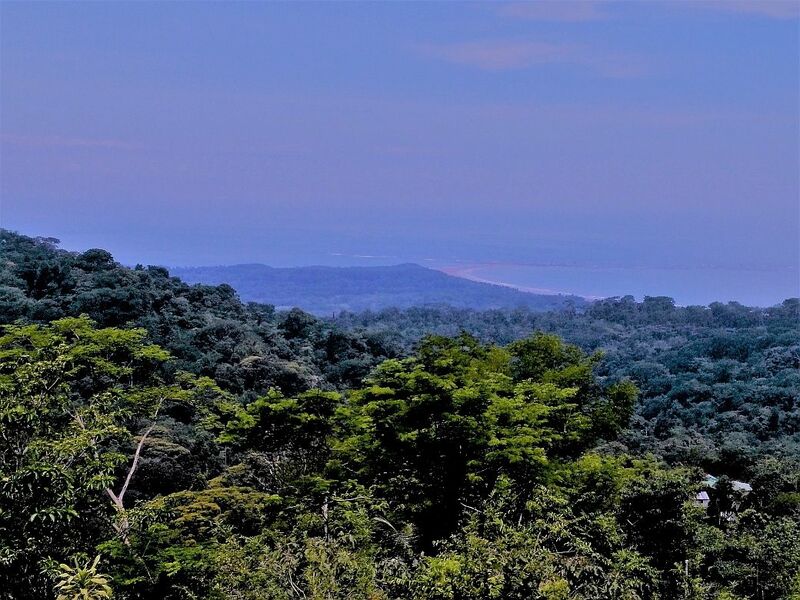 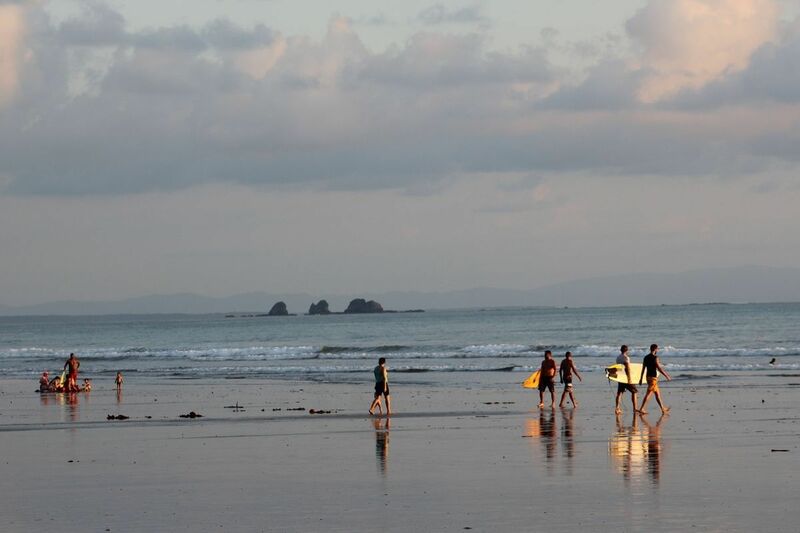 In the Marino Ballena National Park camping is allowed only in Colonia or Chamán, and Piñuelas beaches, bonfires and consumption of alcoholic beverages are prohibited in the Park. 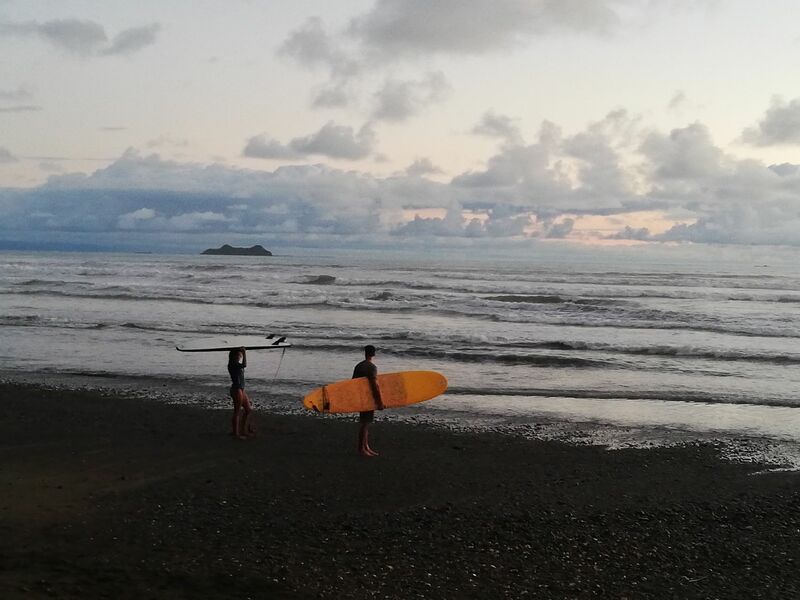 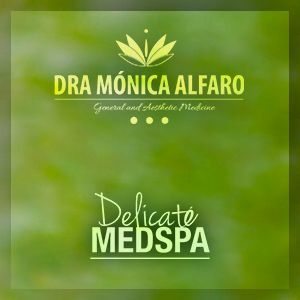 From San José, take Route 27 towards Orotina, pay attention to the exit to Jaco – Tárcoles, carry on to Parrita and Quepos, and follow the new Coastal Highway (route 34) to Dominical and from there to Uvita. 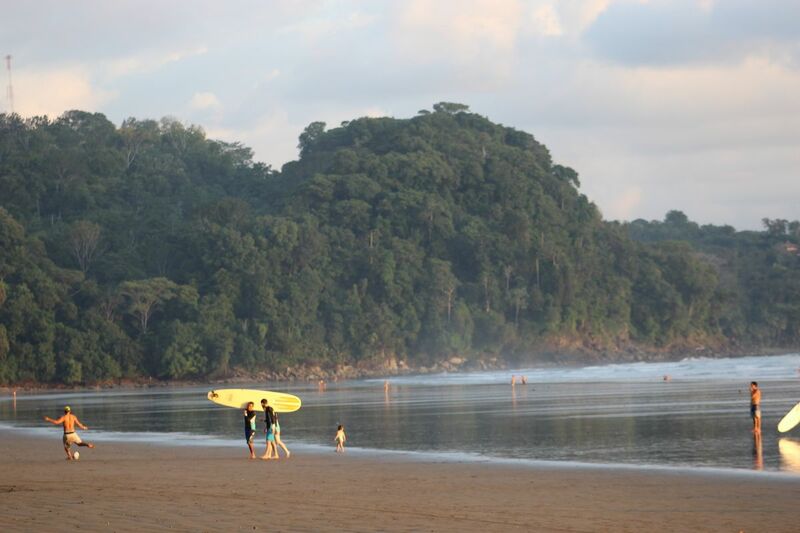 Travel time: about 3 hours and 30 minutes. 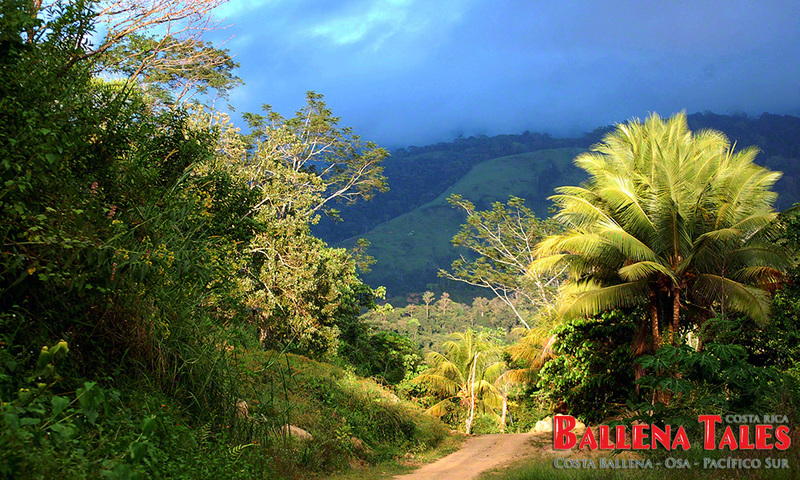 Alternatively, from San José, take Cerro de la Muerte (Route 2), to San Isidro and then take route 234 to Uvita. 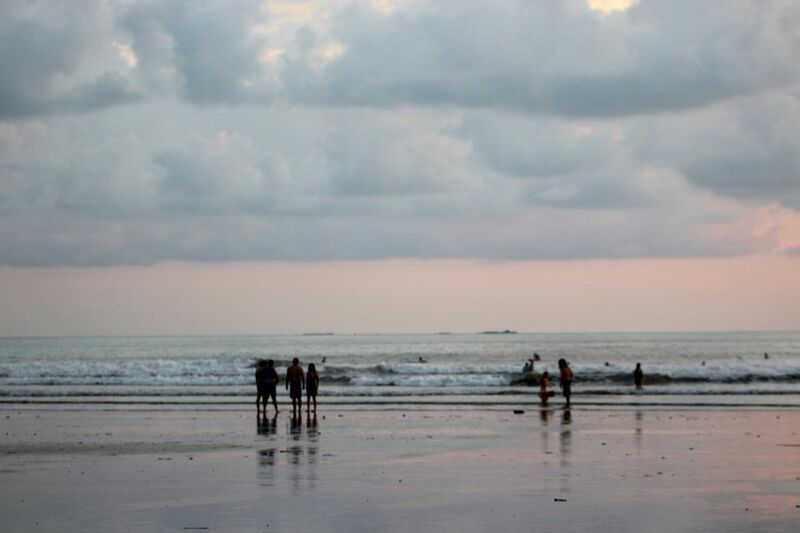 Travel time: about 4 hours and 30 minutes. 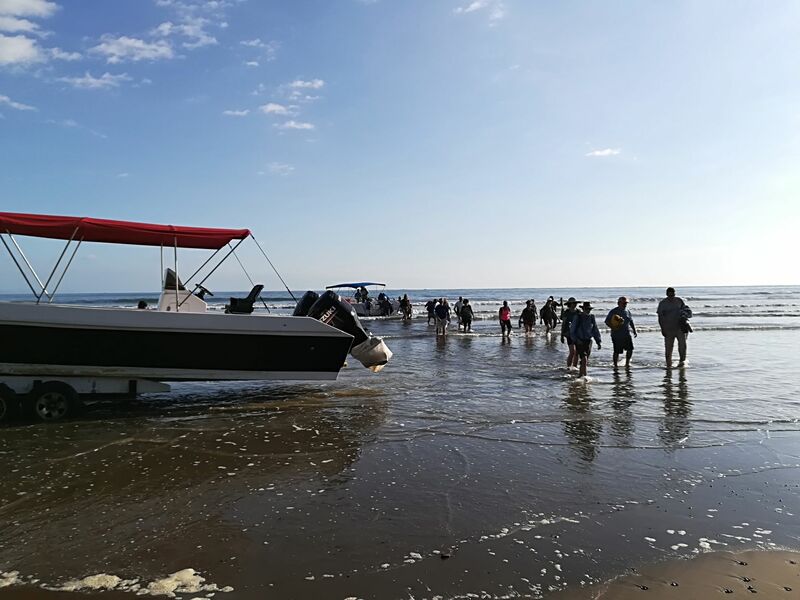 If you want to walk on the path or Paso de Moisés you should do it at low tide.